Step 7 in this series took a deep dive into crafting an ideal client persona. 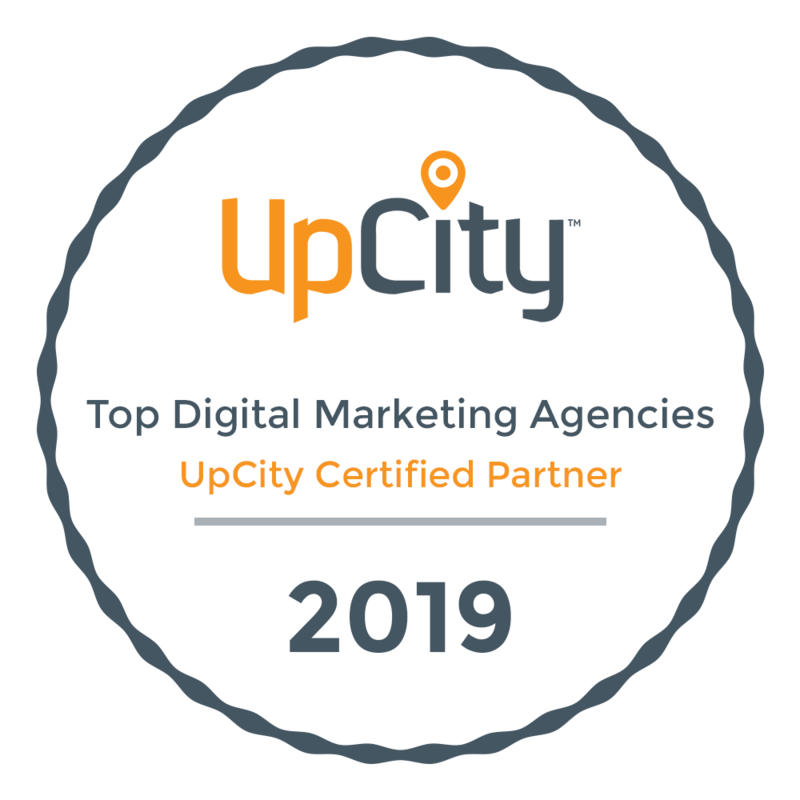 Equipped with that intel along with everything you’ve learned in steps 1-7, it’s now time to focus on the epicenter of your content – your core marketing message. Continually communicating your core difference is what your ideal customer wants to see. 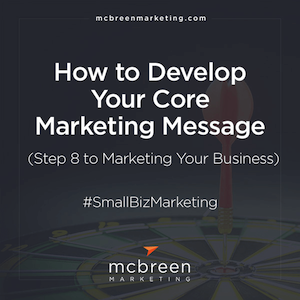 Your core marketing message is really a framework for your content – blogging, video, podcasting, or whatever you choose to do. There are certain components that will ensure that your core message is the best and most engaging story for your business. This is NOT about weaving a compelling narrative. It’s about clearly showing that you’re the wise sage your ideal customer is looking for to help them fix their pain. How can you craft content that clearly displays your expertise? The most important thing you can do when marketing your business is to focus on the buyer’s needs first. Tired, pedestrian messaging everyone expects anyway. And sorry, but buyers really don’t care about your mission, community involvement, or company history. Your ideal customer has a problem. You need to clearly guide them through a buyer’s journey – to show them how to fix their issue and reach their goal. Interviewing customers is incredibly valuable here. Interviews bring insight – an understanding of their buyer’s journey. And the more people you talk to, the more you’ll learn about your own business, including critical elements they expect but are missing in your marketing. If you haven’t interviewed your customers yet, go back here, make a list of customers and ask them if you can interview them. I use Skype and Ecamm Call Recorder together to record the conversation, then transcribe it using Rev.com. What problem triggered you to look for a business like ours? What were your main concerns? Top priorities? What type of online content were you looking for? What made us stand out? If we didn’t, how could we stand out? What, exactly, made you decide to buy? Always focus on your buyer—what they expect, what they need, and how you can help them every step of the way. Your job is to show them what those real issues are, how to refocus on what matters most, and just get it done. Customers often have a deeper problem, something more going on under the surface. Finding this problem and understanding it is how you become your prospect’s go-to source. This journey is about clearly knowing all about your customer’s real problem. Then displaying why you’re the teacher who will take them where they want to go by providing the know-how, tools, and strategies they need. Your marketing should inspire and engage by showing them what success looks like. How they could change their life and their business by implementing your solution. Play coach and challenge them to succeed. Reveal the true cost of NOT acting. Learning what might happen if they don’t act or what they might lose is often the key motivator for most business owners. These people know what they need but they don’t really understand the price of not acting, where your solution can take them, and most importantly, what to do next. 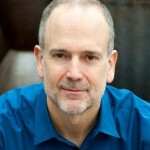 This one seems so obvious but many businesses fail to incorporate a clear call-to-action. I’m the one to help you fix it and here’s my solution. This is what you need to do next to start. Your core marketing message is crucial. You need to convey what you do, how you’ll help your customer, and communicate what they should do next (contact you!). To do this effectively you need to outshine the competition. Think about the digital landscape and how insanely hard it is to not only get someone to your website but to get them to stick around for more than five seconds. Some studies estimate that your average citizen is exposed to roughly ten thousand marketing messages each day. Attention is scarce enough, but with this continual barrage, most marketing simply blends in or gets lost in the ether. Go back to what you uncovered in step 2 above. 1. Exactly what you do? 2. How you’ll fix your customer’s pain? 3. And making it clear how they can get started? For 10th Magnitude, we created “above the fold” content on their home page that conveys a clear message. ZipperGeo’s “Reducing the risks our customers face underground” was created to help them stand out from other Geoprofessional consultants. Ryan Therapy Services copy speaks clearly and to the right audience. Thought Partners Coaching does the same. And companies in a tough B2B space, Environmental Partners and Vuetura both display “above the fold” brand copy that clearly shows their expertise. With every customer, this crucial home page message is always a first step in the process. Pull your three biggest competitors and see what they are doing. Search for other businesses similar to yours, spend and hour finding the ones with the best messaging. Review your site, the competition, and study the best. 4. Review and get your core message in writing. This will drive your marketing. In step 1 you created your unique business vision. In step 2 you defined your ideal customer. In step 3 you wrote a positioning statement. In step 4 you learned how important effective copy is. In step 5 you started on your visual elements. In step 6 you learned how incredibly important it is to convince both the search engines and your customers that your brand is the best solution. And how to implement at 7-step Modern SEO Strategy. And step 7 took an even deeper dive into your ideal customer. If you haven’t read any of the posts above, go back through them, then come back to this post. Later in this series, we’ll get into the nitty-gritty of producing an ongoing stream of content. 3. Rise above the noise through clarity. This is your time to study, review, and get your business story right. Your core marketing message must truly represent your business, stand out, speak to the right people, convince them you’re the right person to help them, and get them to act to change. Your core marketing message is basically an effective business narrative built to make it way easier for people to find you, get to know, like and trust you, and then buy from you.